repros GmbH has made its best efforts to ensure that all information presented is reliable and correct. HOWEVER, repros does not assume any liability for damage or loss directly or indirectly caused in connection with accessing or using the website. Our website may contain certain links which may lead to websites outside of repros GmbH. repros has neither checked the links or their content nor does repros assume any liability with respect to technological quality or their content, including products or services offered or in any other respect. The entire contents of this website are subject to German copyright law. Any duplication, transmission or alteration without the prior written consent of repros is prohibited unless legally permissible based on the few exceptions provided for by copyright law. Downloads and copies of these pages are only permitted for private, non-commercial use. Significant contract received from Greece. KTDA awarded the 6 MW GURA hydropower project. repros GmbH has been selected to renovate the entire electromechanical equipment at the LOUROS hydro power project in Greece. repros GmbH will design, built and deliver three (3) new Francis turbines with generators, inlet valves and control system, to replace the original machineries form the late 1950’s. The LOUROS hydro power plant will have a installed capacity of 9 MW when the renovation will be completed in 2018.
repros GmbH now certified according to DIN EN ISO 9001:2015. 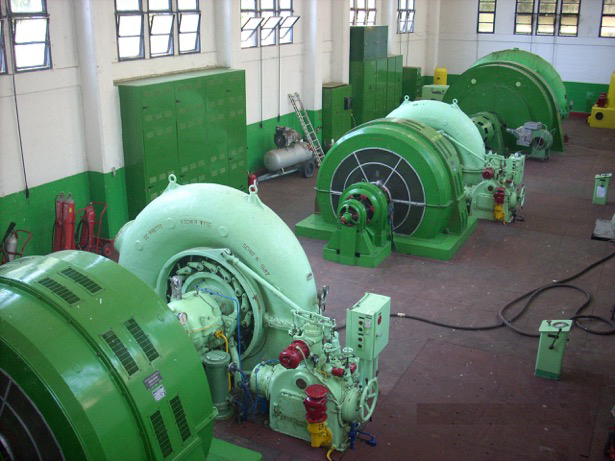 KTDA (Kenya Tea Development Agency) awarded the 6 MW GURA hydropower project. The contract will include the water-to-wire equipment package with two horizontal Francis Turbines of 3 MW power output. Upon completion of the project, it will provide decentralized power to four tea estates. copyright © 2019 - repros GmbH, Germany - All rights reserved.